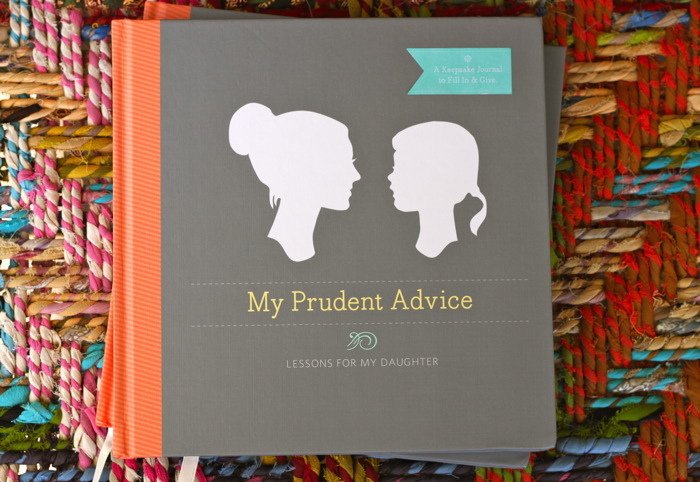 this is a guided journal in which you will write your own list of Prudent Advice for your daughter. The book is beautifully hardbound in linen, with a ribbon marker, and pretty shades of my current favorite color, coral. 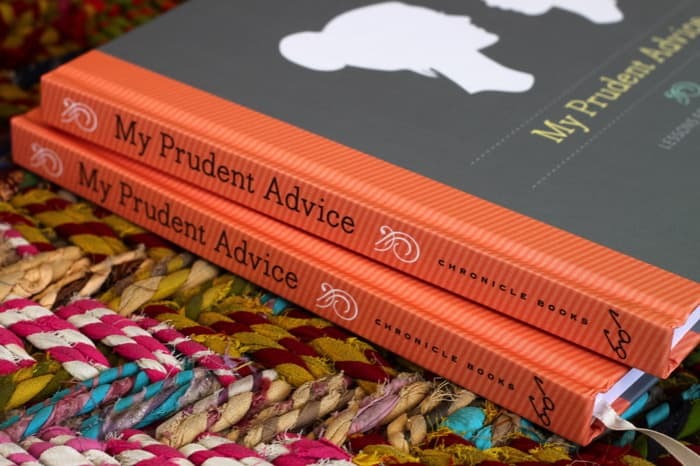 Inside you’ll find some new prudent advice, but the bulk of the book is for you to write. There are suggestions and thought-starters to help you create a treasure for your daughter. 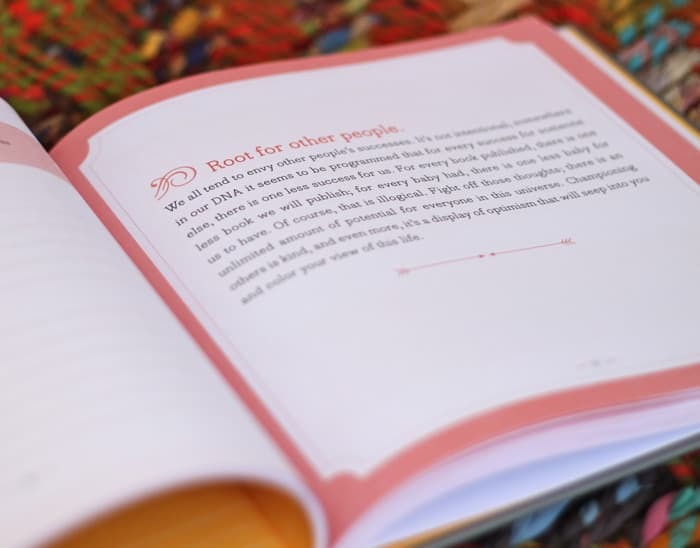 When you are ready to give it to her, the traditional-book-stuff on the front and back cover peels right off, to make a truly special gift she will cherish forever. My daughter, Scarlet, you are the window through which I am finally able to see the beauty everywhere. Joleen, Niko, Clare, Quinn, Madison, and Sylvie, I see you (and your mothers) as droplets of fresh water, splashing new hope onto the plainest of hearts. Take everything we say with a grain of salt, then chart your own course on that buoyant sea. To my agent Alison Fargis, editors Kate Woodrow and Lisa Tauber, and business partner and dearest friend, Jacinda: I wish I had known you as girls. To my sister, Jennifer: I did know you as a girl, and despite all evidence to the contrary, I feel privileged. You are the heart of our family. To my youngest sister, Rachel: You are destined for greatness, this I know. To my mother: Thank you. Oh, isn’t that exiting!! Great work! 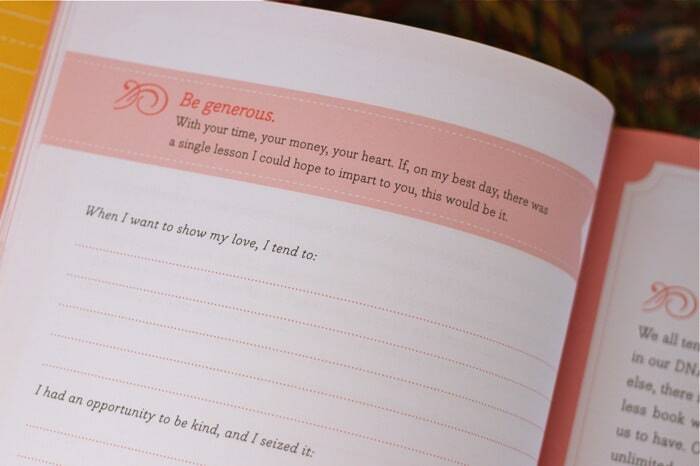 What a beautiful book, such a lovely idea. So glad it will be available in the UK, can’t wait to buy it! Oh my gosh, what a great book. Sad it wasn’t available now for Mother’s Day. I’d buy that for my almost DIL who is the mother of one of my Granddaughters that was just born before Valentine’s Day. Oh my, I can’t wait to get my hands on one. Is there any way to add my answers online and order a custom book? (I’d get 2, one for each of my girls)? Yeah! Congratulations! I was wondering when your next book was coming out! Looking forward to this one! Your first one has been well read over and over again and will continue to do so! I enjoyed your first books so much and would love to get this one as well. However, I have no daughters only three sons and I am wondering if it would still be appropriate for boys. Congratulations on your second book! I keep reading your lovely dedication and smiling. dying to get one, too. but shipping costs are very expensive to the philippines. might have to wait until i know someone who’s either going to the US or coming back home. Will it be available in Australia. Would love to add it to my little ones time capsule? I was just starting to look for a book like this! I can’t wait to grab a copy, I have your first book and I love it!